Without a doubt all Beyonce and Jay-Z fans remember the highly debated elevator fight involving Jay-Z and his wife’s sister, Solange Knowles. For a lot of time, it had been claimed that the fight occurred between the two because Jay-Z had cheated on Beyonce, and her sister was taking her side. Of course, a series of other speculation was linked to this event. And, as expected, despite all the media claims, Beyonce and Jay-Z had chosen to not talk about the subject. Beyonce and Jay-Z are known to be one of the most private celebrity couples in the world, so there is no wonder that they never opened up about what had happened. Well, now, in a very rare gesture, Jay-Z decided to talk about this event. 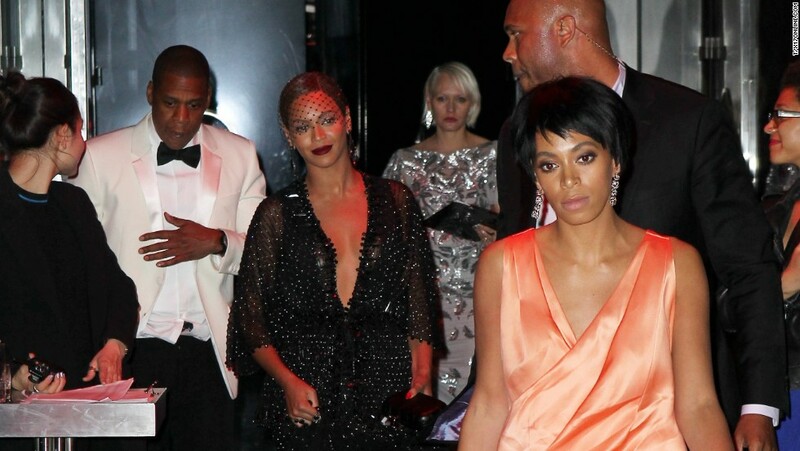 The elevator fight between Jay-Z and Solange occurred in 2014. The whole scene was captured on camera and Solange is seen hitting and kicking Jay-Z, while Beyonce is just looking without intervening. However, according to Jay-Z, the whole fight was really nothing important. “We’ve had one disagreement ever. Before and after, we’ve been cool,” Jay-Z said in an interview on Tidal’s Rap Radar podcast. “She’s like my sister. I will protect her. That’s my sister. Not my sister-in-law. My sister,” the famous rapper went on to add. Jay-Z also claimed that he and Solange have always had a “great relationship.” “I fought my brothers and argued with my brothers my whole life. It just so happens, who we are, these things go into a different space, but it ain’t nothing,” the famous rapper said. And Jay-Z also seems to admire Solange as an artist, saying that he really likes his sister in-law’s music. “I think we went into that elevator great artists. That don’t surprise me. I’ve always loved Solange’s music. I think she was slept on before this album. I thought the album before this one was amazing too. Incredible artist,” he said. The famous rapper and his wife also seem to be in a very good place. They just expanded their family, welcoming twins.